The first V8 hotel. 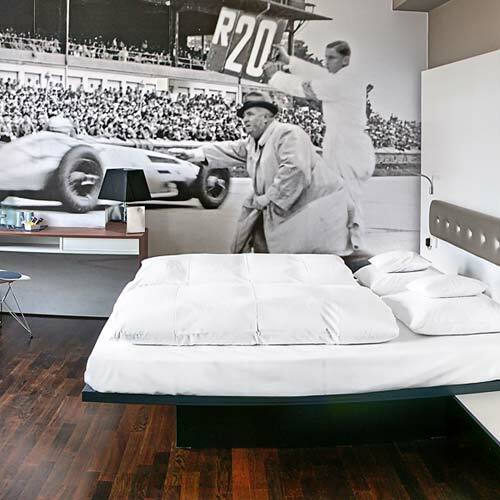 Extensively restored in the style of classic modernity, it impresses with its historical flair and offers you an exceptional stay amidst the MOTORWORLD region of Stuttgart. A house with history - in the 20s and 30s of the last century the airport hotel of the former Württemberg state airport. Visible from afar is the former airport tower, which contains the Mercedes Suite. All 34 rooms in the Classic house have a relaxing 2.10m bed length and comfortable bathrooms. With own telephone connection as well as 32 "(inch) Flatscreens and free high-performance Internet access you live and work with us like at home. Early morning tea or coffee and a bottle of mineral water are available in the room for free. 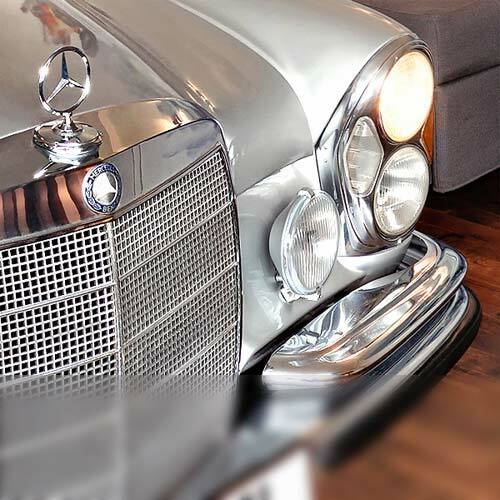 In addition to four V4 single rooms, 18 V6 design double rooms, the V10 junior suite and our V12 Mercedes suite, the V8-HOTEL Classic has a special feature over 10 spacious V8 themed rooms. With a lot of charm and attention to detail, each theme room captivates with its own individual touch. We can also offer two barrier-free double rooms. 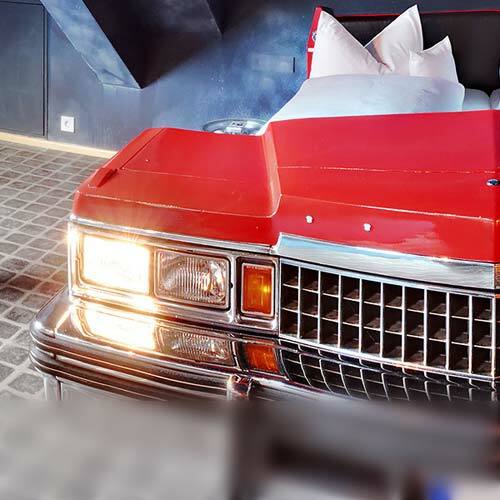 The play of architecturally clear lines in the design rooms and sumptuous forms in the automotive themed rooms make the V8 HOTEL Classic a total work of art.